World-famous beaches, coastal attractions, lodging with views of the Atlantic Ocean - Florida's Space Coast (Cocoa Beach and Melbourne areas) has everything - including an affordable golf vacation and one of the closest beaches to Orlando! Below is our list of Florida Cocoa Beach - Melbourne golf package specials. All Cocoa Beach golf packages can be customized to meet your needs. 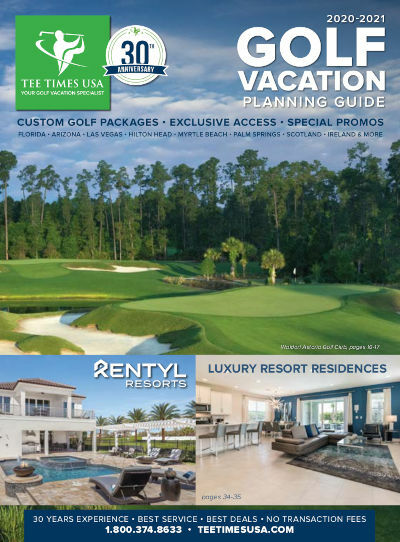 All of the Florida Space Coast golf courses are offering very attractive rates this year. Below is our list of our Florida Space Coast golf package specials. All packages can be customized to meet your needs. Virtually every course in the FloridaCocoa Beach - Melbourne area is having one sale or another, we've truly never seen discount prices like this before. In addition to these great golf deals, don't miss Tee Time's exclusive golf group discounts for you and your golf buddies. If you have questions feel free to call us direct and speak with a friendly Florida Golf Vacation Specialist at 1-800-374-8633 or request a custom golf quote - quick and convenient! Great course. Greens terrific. Interesting and fun. Highly recommended. Real great course, real nice layout and condition. Very nice club. Great service, very nice pro shop, excellent range and practice area. We loved it! Duran Golf Club was very enjoyable and an excellent recommendation for our vacation. The course was in excellent condition and is what we have come to expect on our vacation especially if recommended by teetimesusa. The course was challenging but fair with the exception of the wind which could influence any round of golf, but I'll take it because I was still on vacation. The staff was also very pleasant which always makes your visit that much more enjoyable. I would definitely make it a must play when returning to the area. We really enjoyed this course. Nice layout with fast slippery greens and well placed bunkering. Easy to find just off of I-95 and Wickman. Staff was friendly and helpful and got us paired up and out early. We really enjoyed the course. Very professional staff, and a very cared for facility. True greens, fun golf with generous and solid fairways. GREAT COURSE AND FRIENDLY - HAD A WONDERFUL TIME PLAYING. The best course. Great practice area. Would playagain! Fun course with lots of challenges to test your skills. We play this every year. Greens always nice and very tough. Wonderful golf course with a great design. Excellent course. Great condition. Would play again. Great course. Well maintained and fun to play - even in near 'Gale' force winds! My personal favorite of the 4 courses we played. It was extremely scenic - in great condition and very enjoyable to play. Great course - always enjoy playing there. They need to get rid of the large gator in the pond along #9. This was the best course we played on the space coastÃ¬. Fairways were in very good condition and the greens werewonderful with some very intresting holes.